These were the exact words of Rita (name changed), one of our patients who was diagnosed with infertility and now preparing for her IVF, during her first session at our Fertility Centre. 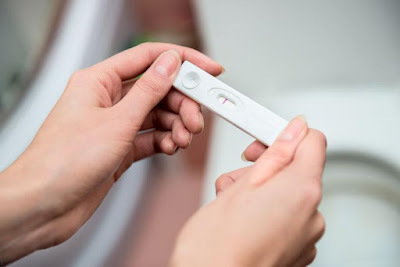 The feeling of frustration and dejection is quite common in women who have to go through this ordeal of not being able to conceive naturally. There are several factors that affect fertility in women. All women are born with a finite number of eggs. As their age progresses, bodily changes together with her lifestyle and environmental influences can alter the potency of her reproductive system to conceive a baby in the womb. If there is even a slight alteration in the physiology of the reproductive system, women may not be able to conceive naturally at all. In medical terms, the inability to getting pregnant is termed as infertility. However, with Artificial Reproductive Technologies (ARTs) becoming the preferred choice for millions of infertile couples worldwide, Rita and thousands of others like her have found a definite solution. Today there are a number of infertility treatments available to couples in order to treat their various fertility related issues. Doctors who are specialists in reproductive medicine and the experts conducting the Artificial Reproductive Technology (ART) procedures like In-Vitro fertilization (IVF), Intra-Uterine Insemination (IUI), Laser Assisted Zona Hatching and many more, opine that it is essential for patients to remain mentally positive and physically sound before undergoing any ART procedure. Up to reading this much if you’re wondering “Is it really possible to remember, follow and maintain all the above 8 Don’ts every day in our busy lives?” We second you on this! But, as the saying goes - where there’s a will there’s a way, we would ask you to be resolute and get serious about it. Believe me, positive changes would show! 1. Eat Nutrient Dense Foods - Super foods rich in vitamins A, C, D, E, K2 as well as Iodine, and Omega-3 Fats should be consumed daily. 2. Early To Bed And Early To Rise - Make this a habit and it will reap you dividends of great health and boost your energy all day long. 3. Read Happy Books - You don’t have to be a bookworm, just select and read books, journals or magazines that talk about happy beginnings and happy endings! Psychologists say that during conceiving, as the body undergoes a lot of hormonal changes, it is important to keep your mind stress free. 4. Get Out of Your Nest - Meet your friends. Even an hour-long hangout can be a good stress-buster! It is another way of surrounding yourself with your well-wishers and in the process boost your positivity. 5. Pray or Meditate - Praying and meditating are considered best ways to calm down your mind. While preparing for your ART procedure a regular session of meditation can soothe your senses. 6. Give Yourself Some Well-Deserved Downtime - If you’re free during afternoons, get some nap. Start a habit of setting some time aside every day when you should just lie down and rest during the daytime. 7. Spend Time With Your Partner - Plan a day out with your other half and visit places that rekindles your cherished memories. Expressing your inner feelings to your partner relieves tension and bottled up emotions. 8. Follow Your Reproductive Counsellor’s Advice - Remember, your counselor is your best friend while getting you ready for your ART procedure. Share your apprehensions, expectations and almost anything that you wish to know about your ART procedure. Being informed will help you to undergo the infertility treatment procedure with much calmness and positivity. If you’re feeling that all of these tips and pieces of advice are hard to remember, make sure to come back again on this page and read this post as many times you please! For any queries, feel free to comment on the post. Our specialists would be glad to reply. Keep following the Genome blog for more specialist tips on fertility, infertility, and pregnancy.